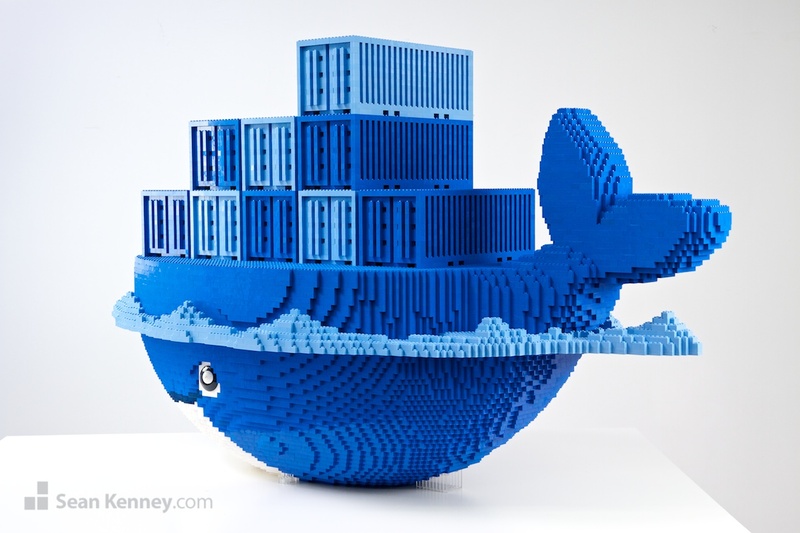 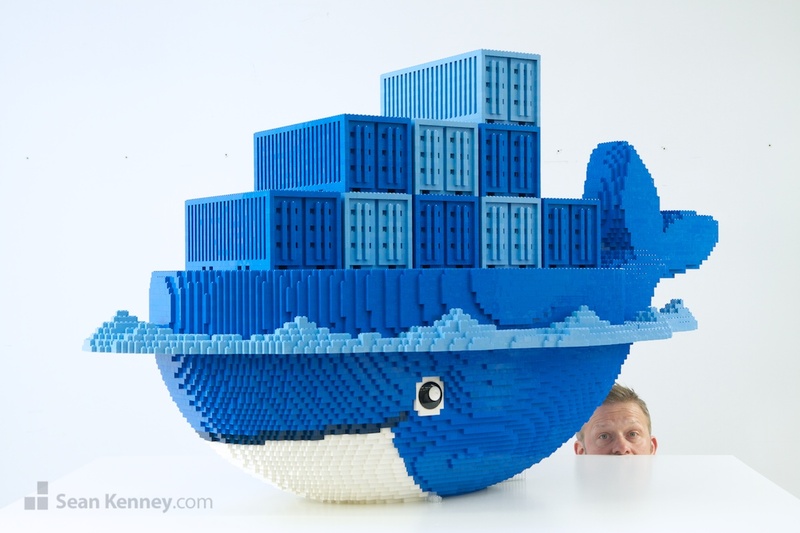 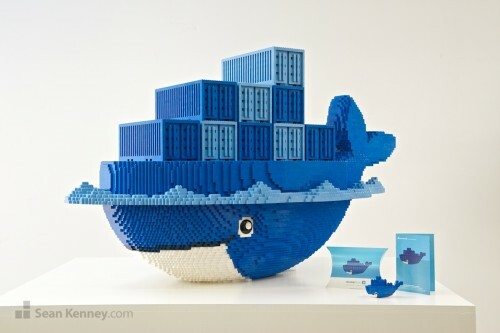 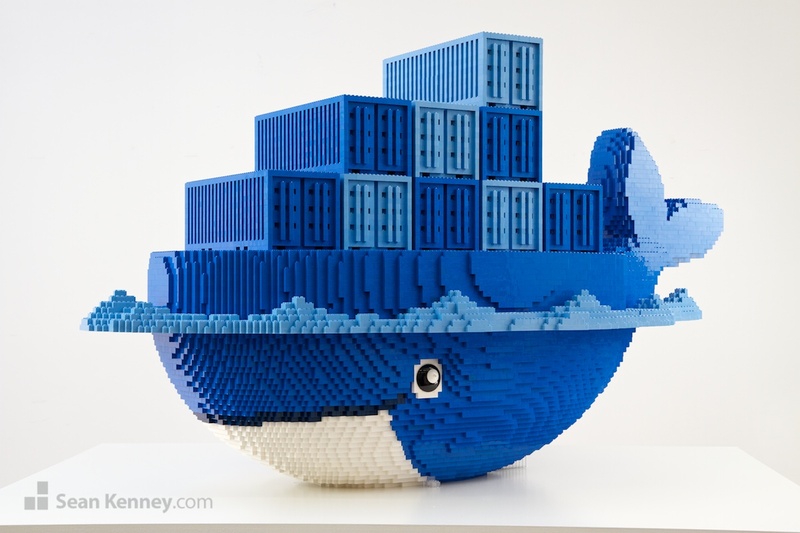 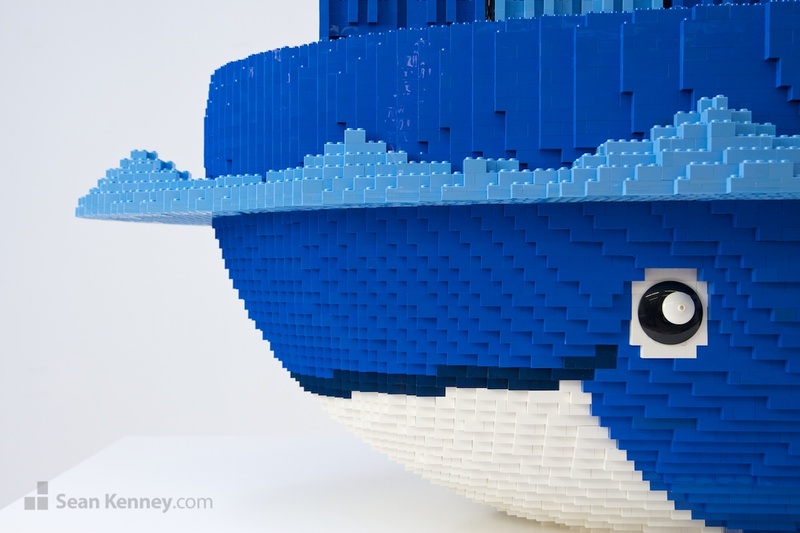 This 5-foot long sculptural interpretation of technology company Docker‘s very cute 2D graphical logo was a lot of fun to build. 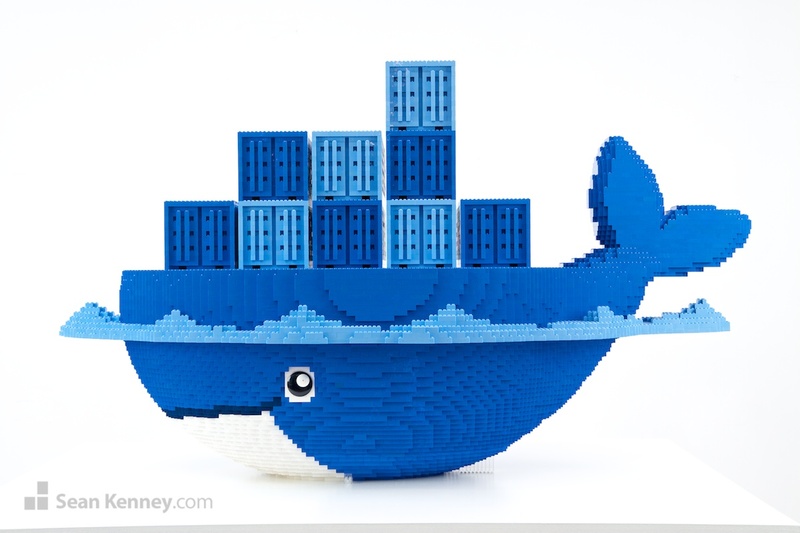 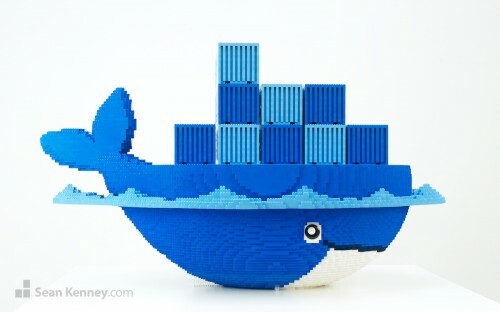 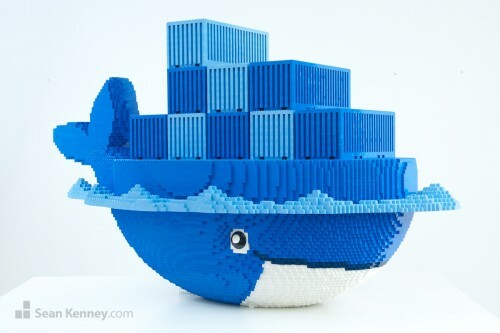 We learned that this container-ship-ish whale is named “Moby Dock”. 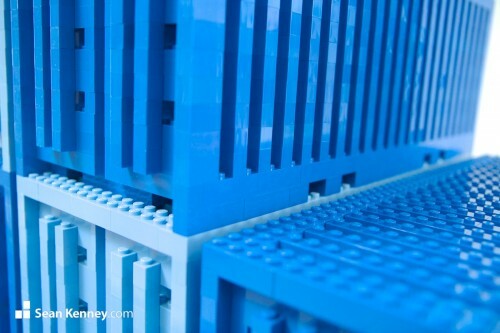 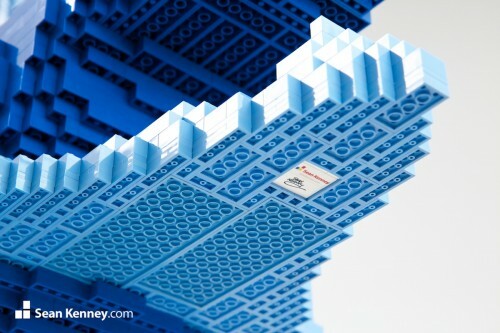 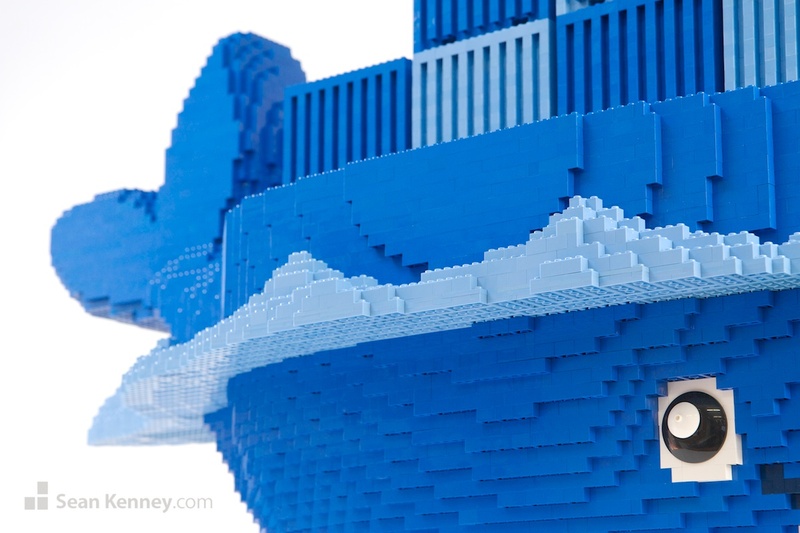 And this giant LEGO sculpture has a secret inside …. We also created some miniature build-it-yourself kits (above) of the logo that they gave away at a company trade show. 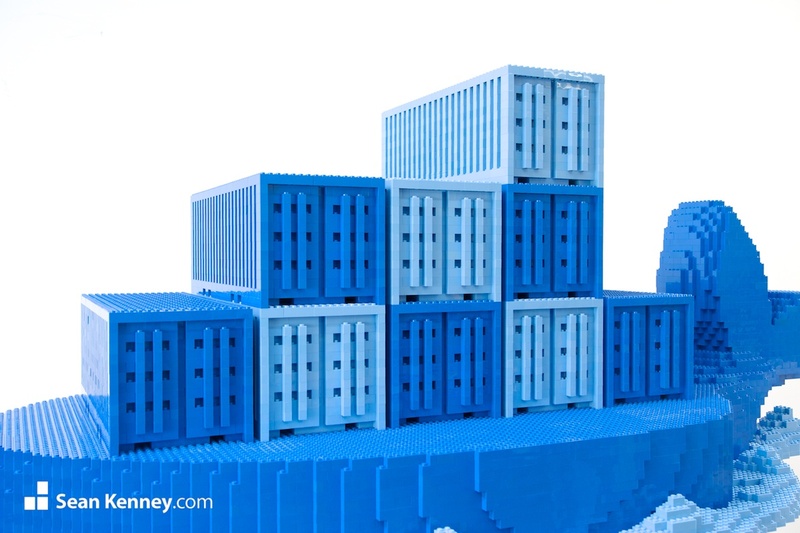 The waves that are present in the 2D graphic of the logo presented a fun challenge to interpret as 3D shapes; I’m really happy with how they came out. 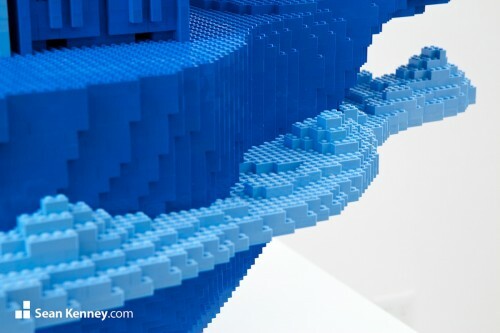 From a perfect side-view, the peaks and valleys of the waves line up perfectly with those in the 2D logo.